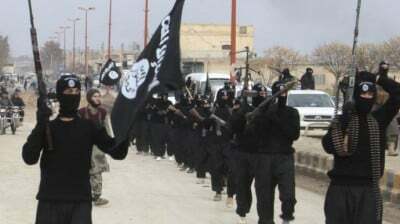 The US Defense Intelligence Agency (DIA) confirmed in a leaked 2012 intelligence report that the US contemplated supporting the jihadists including ISIS-Daesh. In the present context, an understanding of the historical origins of the ISIS is required. Abu Musab Al Zarqawi was the alleged mastermind behind Al Qaeda in Iraq which was at the origin of the Islamic State (ISIS, ISIL, Daesh). Until 2014, the Islamic State was referred to as Al Qaeda in Iraq, which was a creation of US intelligence. “The US military-intelligence has created it own terrorist organizations. In turn, it has developed a cohesive multibillion dollar counterterrorism program “to go after” these terrorist organizations. To reach its foreign policy objectives, the images of terrorism in the Iraqi war theater must remain vivid in the minds of the citizens, who are constantly reminded of the terrorist threat”. A leaked August 12, 2012 report by the U.S. Defense Intelligence Agency confirms unequivocally that the US administration had contemplated supporting Al Qaeda affiliated rebels in Syria several years prior to the onslaught of the war in March 2011. Bear in mind, as mentioned by the report, the objective was also to install so to speak the Islamic State in Mosul and Ramadi. Below are screen shots of the controversial leaked Pentagon report (highlights by GR). It is now abundantly clear that the US led coalition is behind the Islamic State (ISIS). The US counter-terrorism operation initiated by Obama in 2014, is a smokescreen. Abu Musab Al Zarqawi has been presented both by the Bush administration and the Western media as the mastermind behind the “insurgency” in Iraq, allegedly responsible for the massacres of Iraqi civilians. 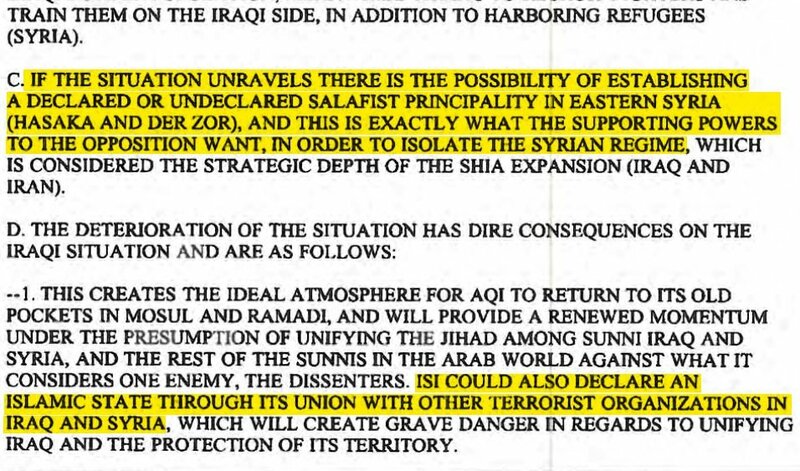 An internal document produced by U.S. military headquarters in Iraq, states that “the Zarqawi PSYOP program is the most successful information campaign to date.” (WP, op cit).